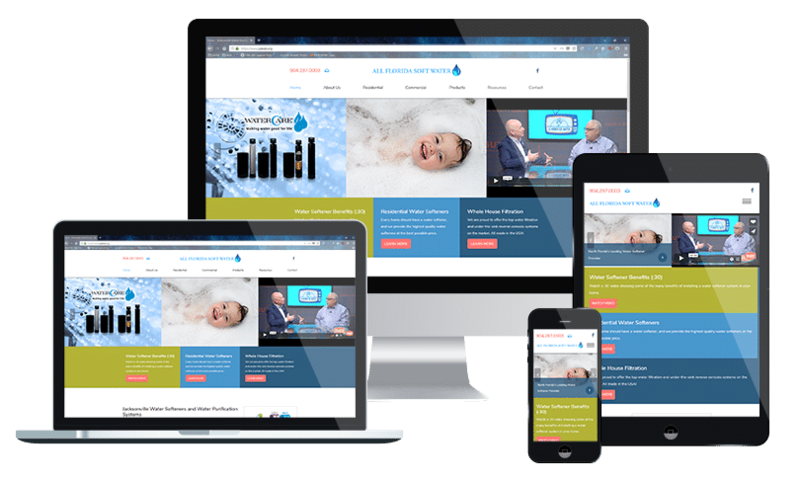 We are a top website design & digital marketing agency in Jacksonville specializing in Healthcare, Non-Profit, Legal, and local businesses across the U.S.
Best websites AND prices? It doesn't get any better! Our #1 priority is helping you grow, and our websites generate unbeatable growth for our clients. We begin by learning about your business, your goals, who you currently serve, and what you wish to grow the most. We then provide expert website design and marketing services tailored to your audience. Once we’re working together you can consider us a part of your team, ready to assist with anything you need including print ads, marketing collateral, graphic design, and much more. After we’ve learned about your business and your goals, we create a website design that communicates your message clearly and effectively, and leads visitors to the specific areas of your business that you wish to grow the most. 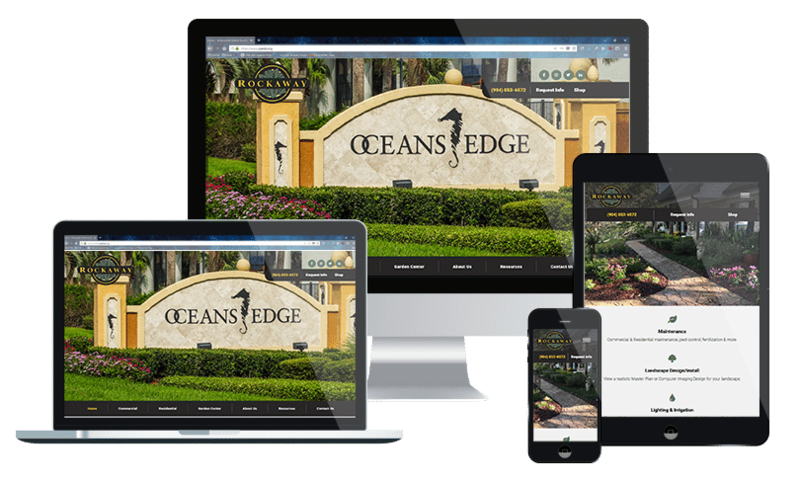 Every website we create is fully-responsive, which means your website visitors will have a fantastic experience on desktop computers, tablets, and smartphones. Your revenue and business growth depends directly on the skill of your digital marketing company. Our marketing research process will ensure your business is found by people searching online for businesses like yours. Our clients are consistently on the first page of Google, and we can get you there too! We can show you examples, and we’ll explain why it works every time. 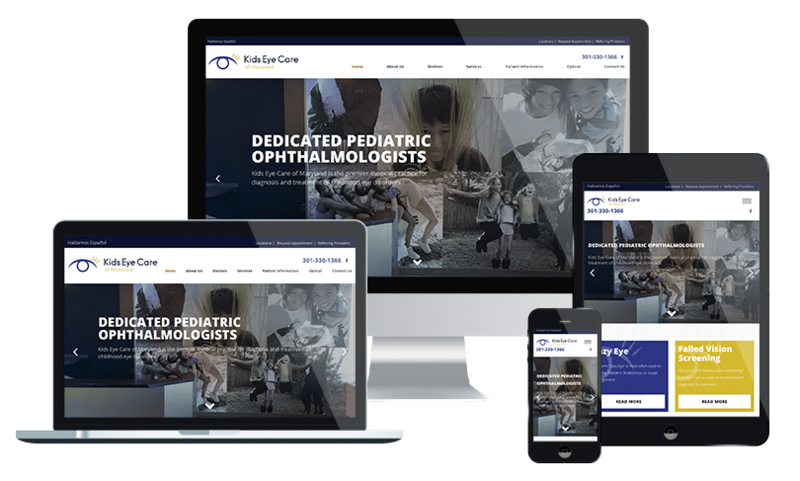 Kids Eye Care of Maryland selected PMCJAX to provide website redesign and digital marketing services in coordination with the acquisition of a 4th practice. Our Jacksonville SEO services have helped All Florida Soft Water grow from zero visibility to the local leader, and they have won Top Sales and Top Dealer awards each year since! Though Rockaway was already a market leader in the community before partnering with PMCJAX, our new website and digital marketing partnership has doubled their website traffic in the first year, and revenue growth has been outstanding. Our web design & digital marketing services bring new, faster growth. Working with Andre was a great experience. He worked nonstop to help us set up our e-Commerce and was available whenever we needed guidance. Andre, with PMCJAX, was very professional and a very diligent worker. We will definitely use PMCJAX again in the future. Thank you from North Florida School of Special Education! - Ashley M.
PMCJAX Design personnel were absolutely wonderful to work with. They really listen to their clients goals for their websites, and strive to fulfill their every request. We are all extremely pleased with the final result of our brand new website. It is user friendly and visitors find it very easy to navigate with excellent content. - Beverly R.
Highly recommend! They are always quick to update our website as soon as we send the information in. They helped us with redesigning our website and we have received nothing but positive feedback ever since! For a smaller company, our website has helped us standout. Thank you again! - Niki M.